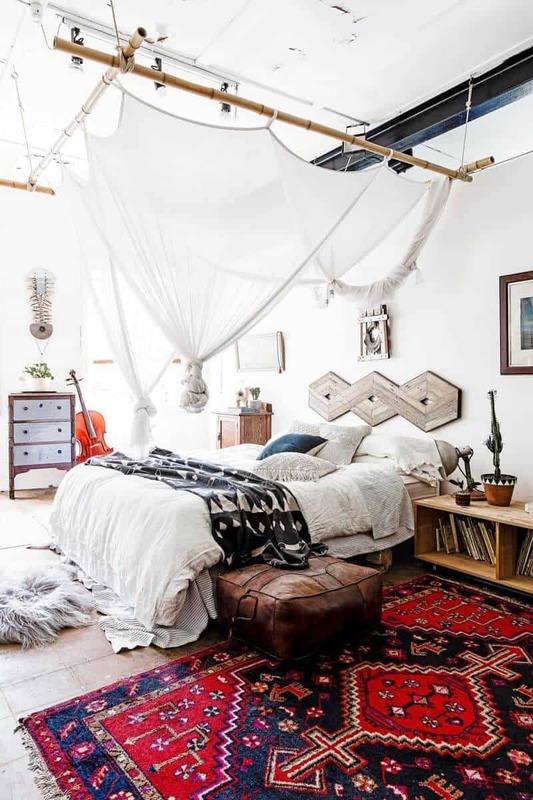 When you don’t have a lot of space in your bedroom, there is one trick that can completely erase the fact and make your bedroom look suburb. We’re talking, of course, about baldachins. 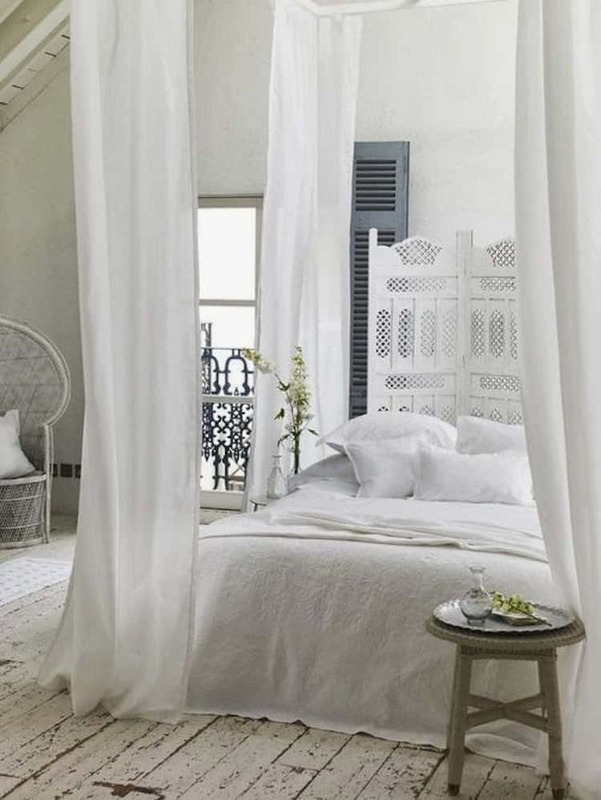 These dreamy things add mystique to the room and plenty of flair to the decor. They are simply impossible to dislike. 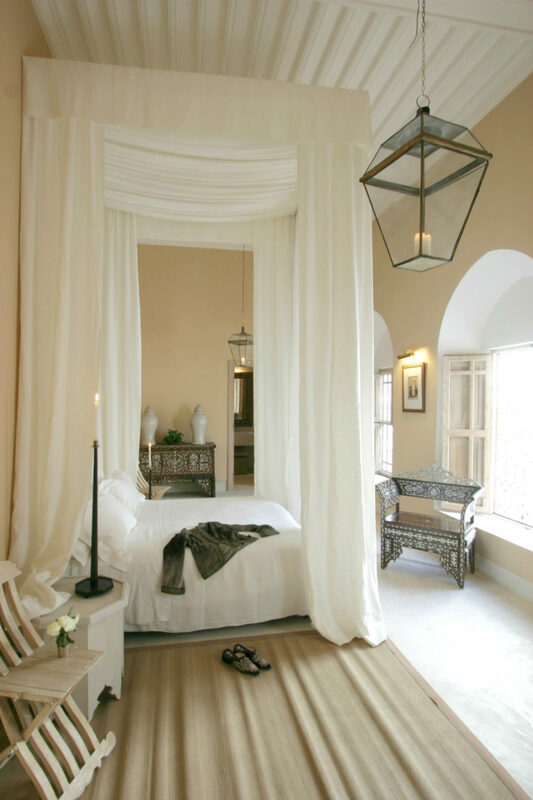 Baldachins and canopies also fit with almost any style, so dream away with our collection of dreamy baldachin ideas. 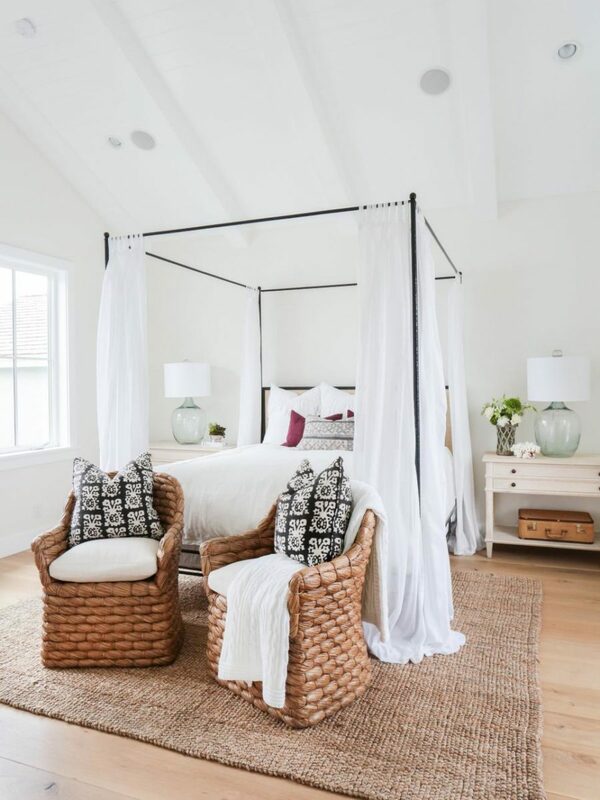 When it comes to making it count, a wispy white canopy never fails to impress, enchant, and make you fall in love with it forever. 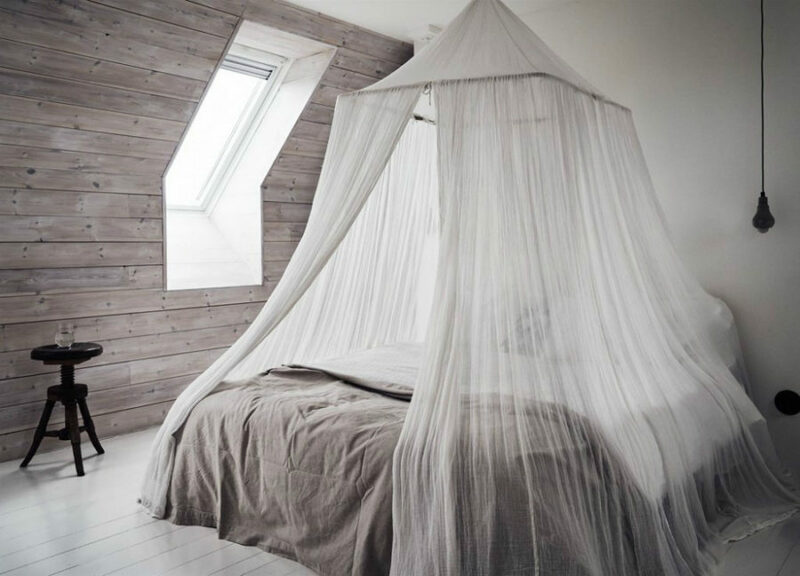 A white mosquito net is cheap and practical, but semi-sheer ivory chiffon curtains may give your interior a little more sophistication. 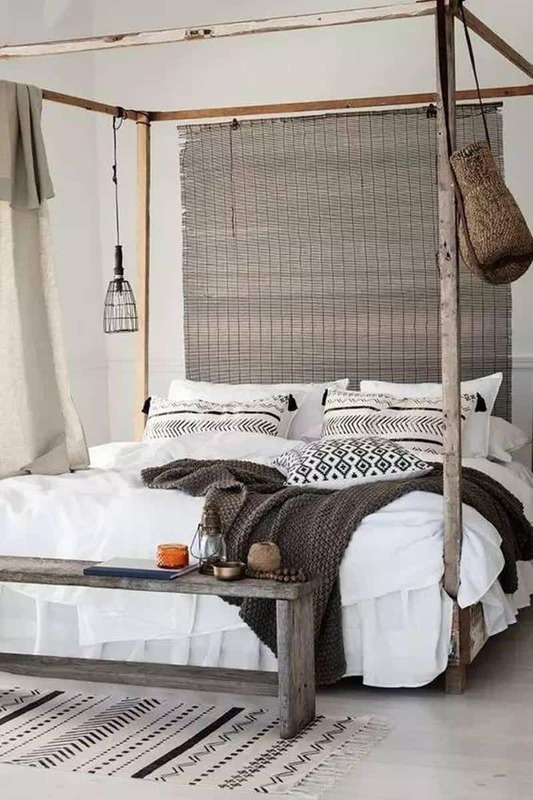 Simpler fabrics like cotton and linen are great at creating the rustic or country vibe. Others may include luxurious silk and even cheap polyester. Hey, if it looks good, it looks good. 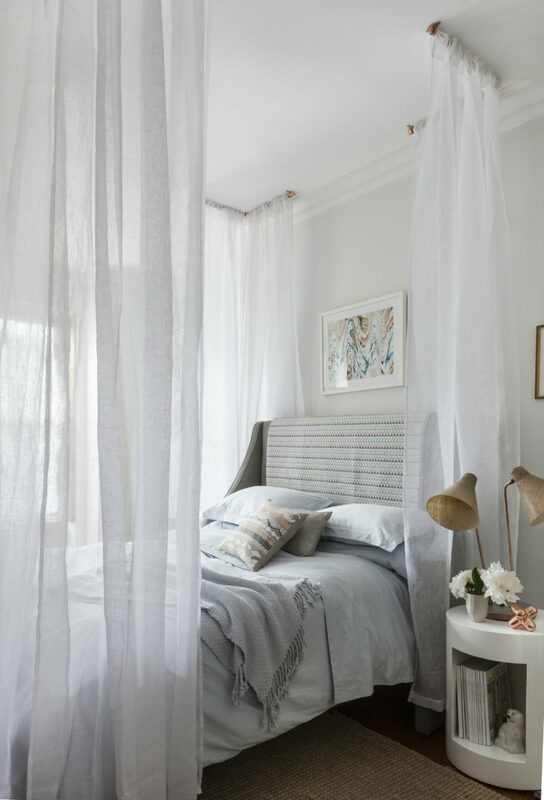 What we hate to see are heavy crinkled satin curtains that almost never look good. 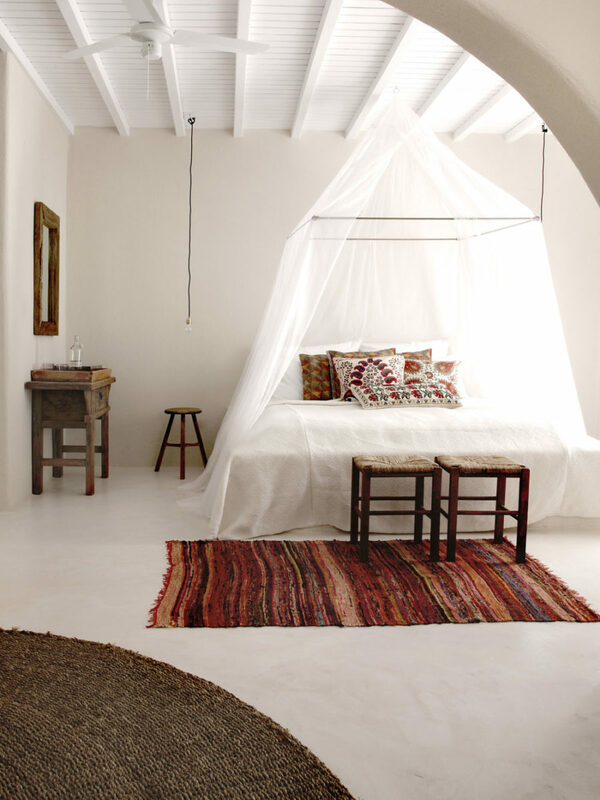 And thin wool knitted curtains would probably do a great job keeping you extra warm during winter. 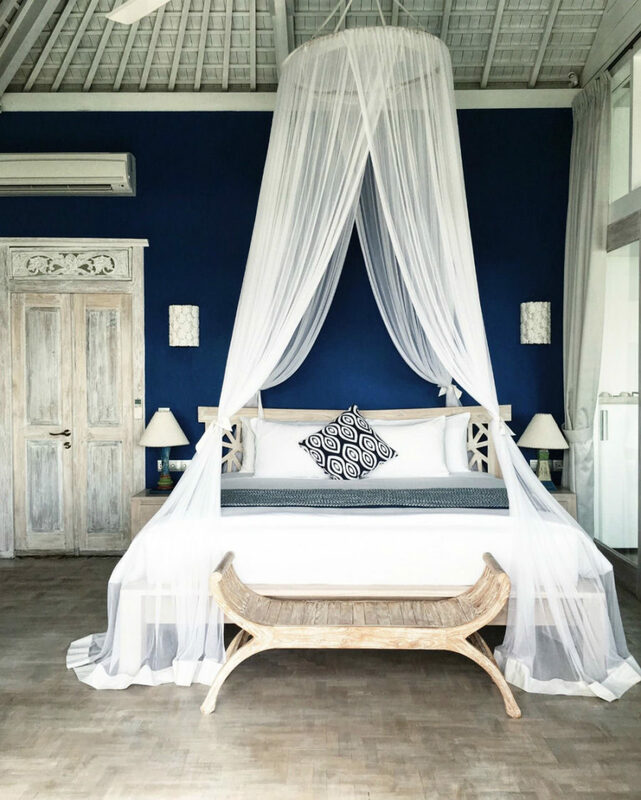 When classic white feels too easy of a solution for a seasoned decorator, drama can come to the rescue. 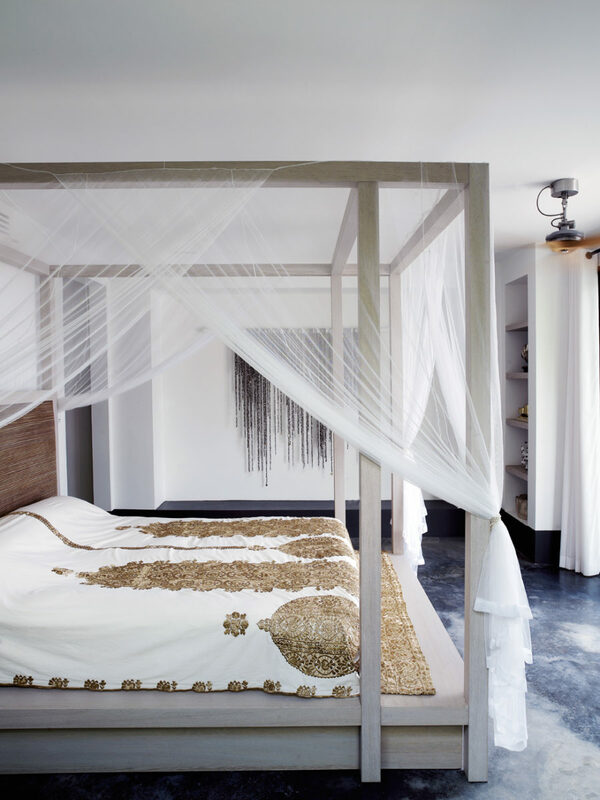 Think tall canopy, complex curtain arrangements, or a statement bed. The latter is a great way to make your baldachin more special. 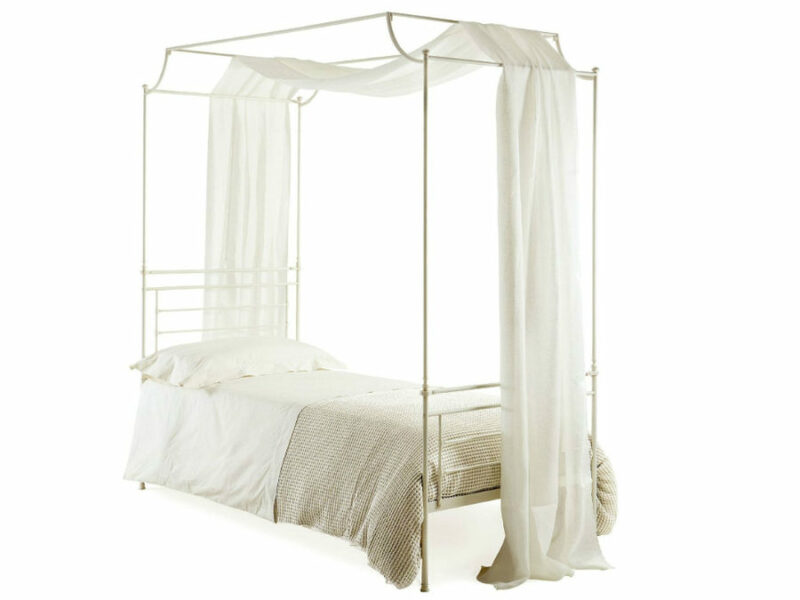 But since anyone can buy a canopy bed these days, it’s the way you decorate it that will make a difference. Check out those ombre curtains. How much more dynamic do they look. 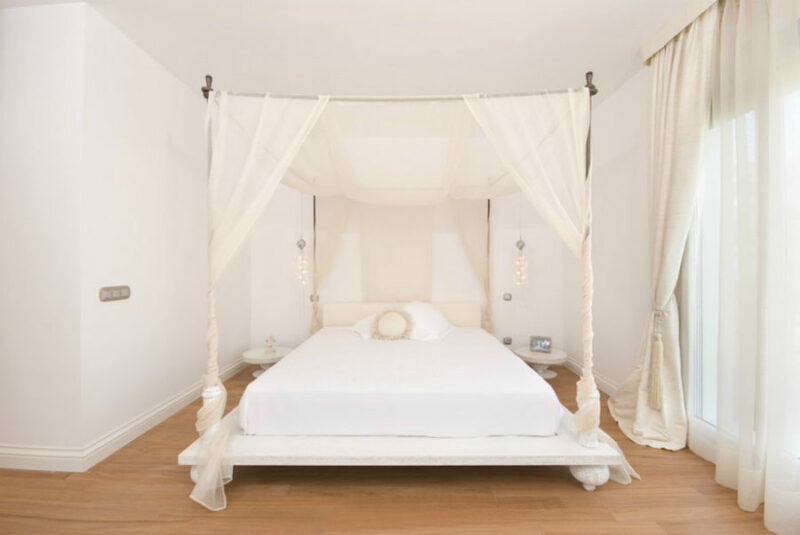 And a single wispy line-shaped cloth may not give you the most coverage but it will certainly look like a nice touch to a dramatic canopy bed. 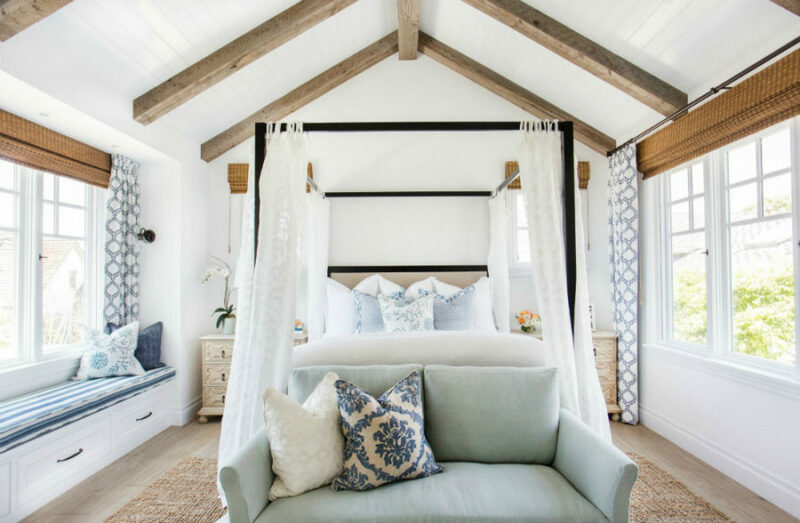 Different styles can definitely make a baldachin look different. 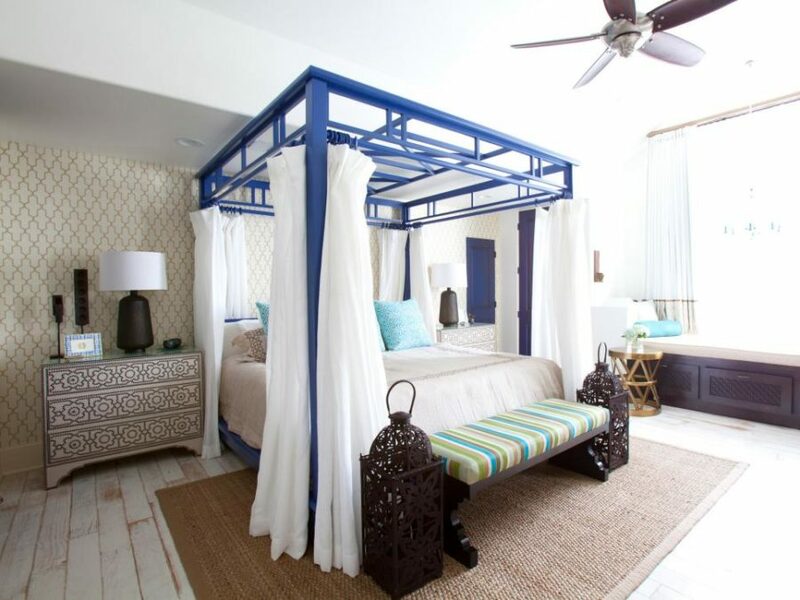 There are white coastal variants as well as those of boho and rustic chic styles. Want to throw in some detail? 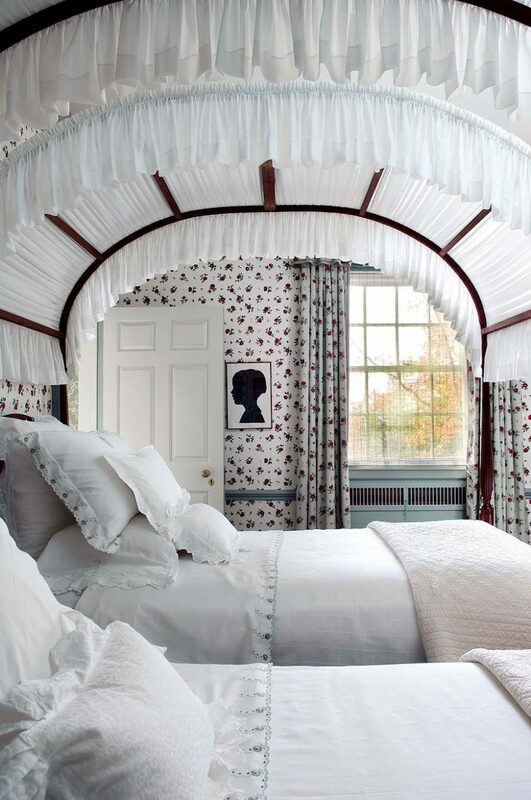 Try using printed curtains to create a dynamic look. You don’t even need to do much to take a baldachin from one style to the next, though. 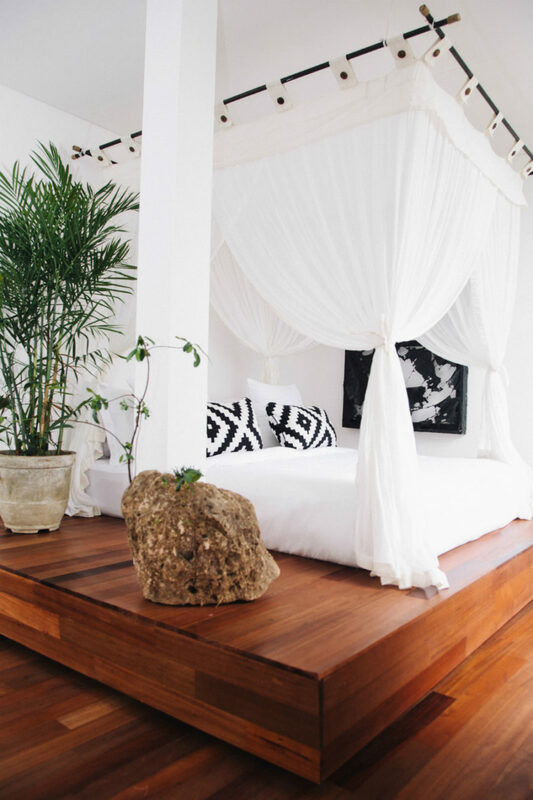 Eclecticism is a great way of combining it all together in an interesting way. 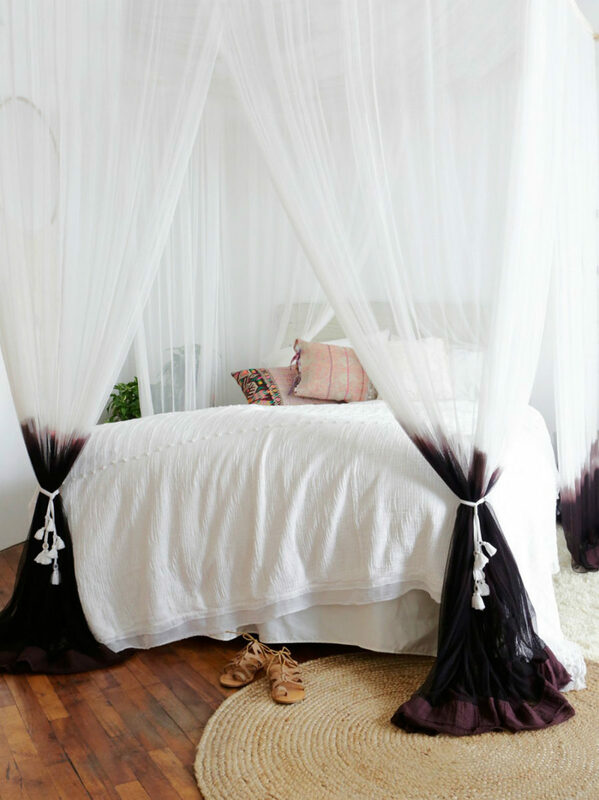 There is also a lot of ways to hang those curtains. They don’t have to close from all sides or hang one certain way. 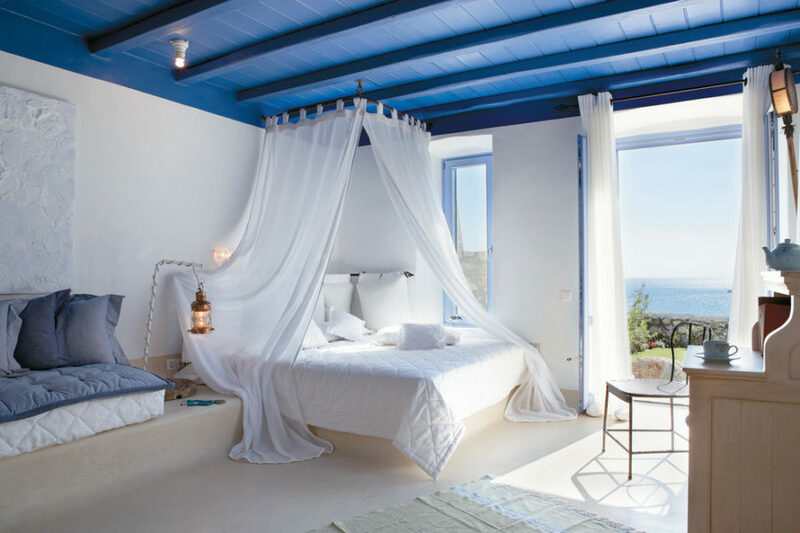 Take a cue from the beds below that use curtains as clouds. 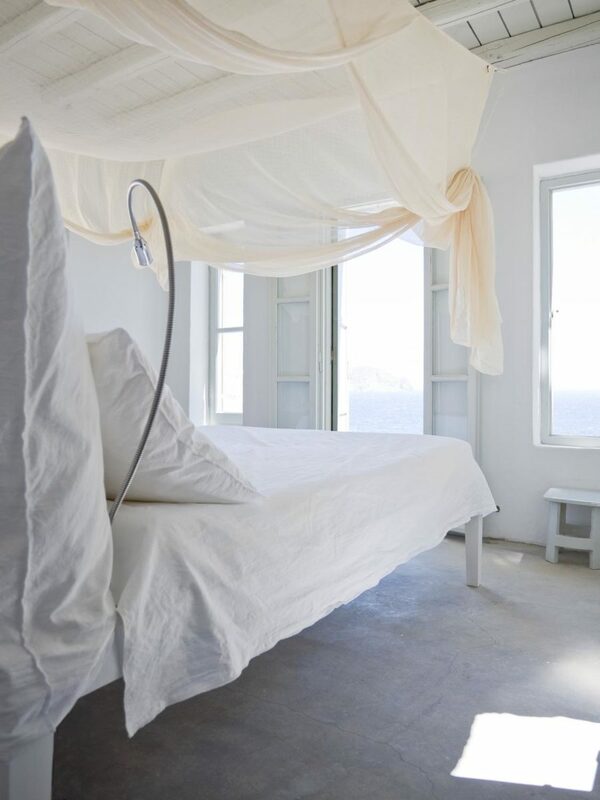 There is no better sight to behold than a wispy yet tangible cloud before your very eyes as you’re falling asleep. It’s just too tempting of an idea to pass up. And it’s easy to do as well. 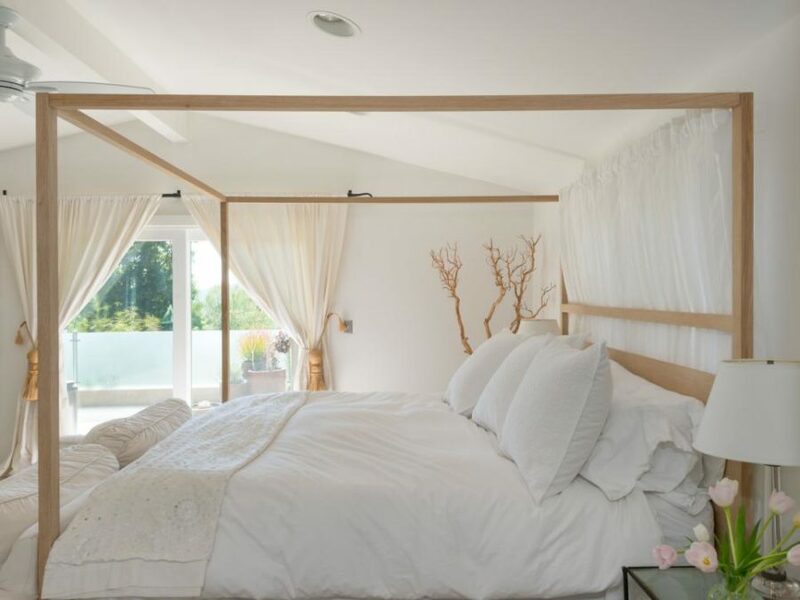 As long as you have a frame on which you can hang your curtains, it’s all in your hands to make it look unique. 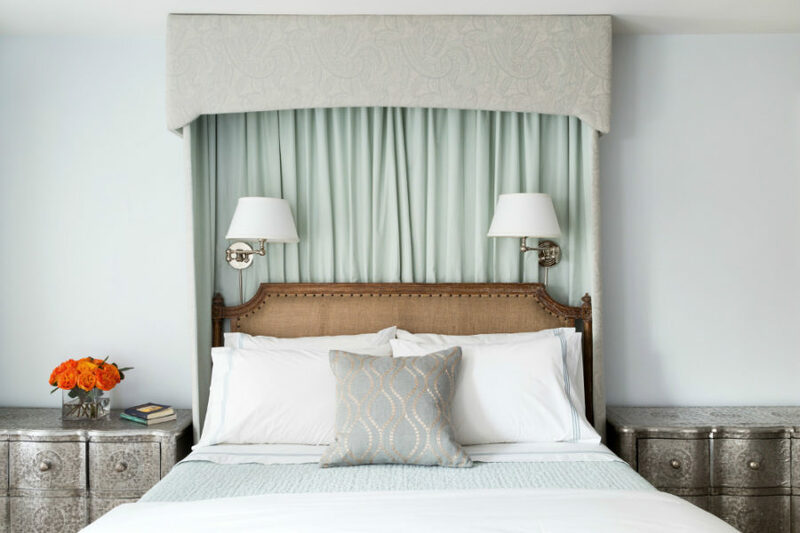 It’s not uncommon to imitate the real curtains in a canopy, but thanks to the fabric’s malleability you can give it various shapes and forms. 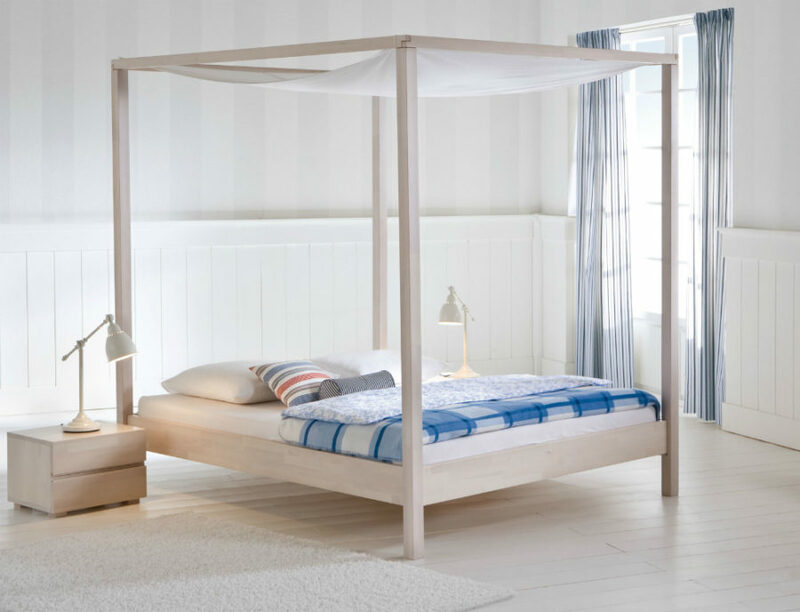 A baldachin in a kids room sounds like a great idea. 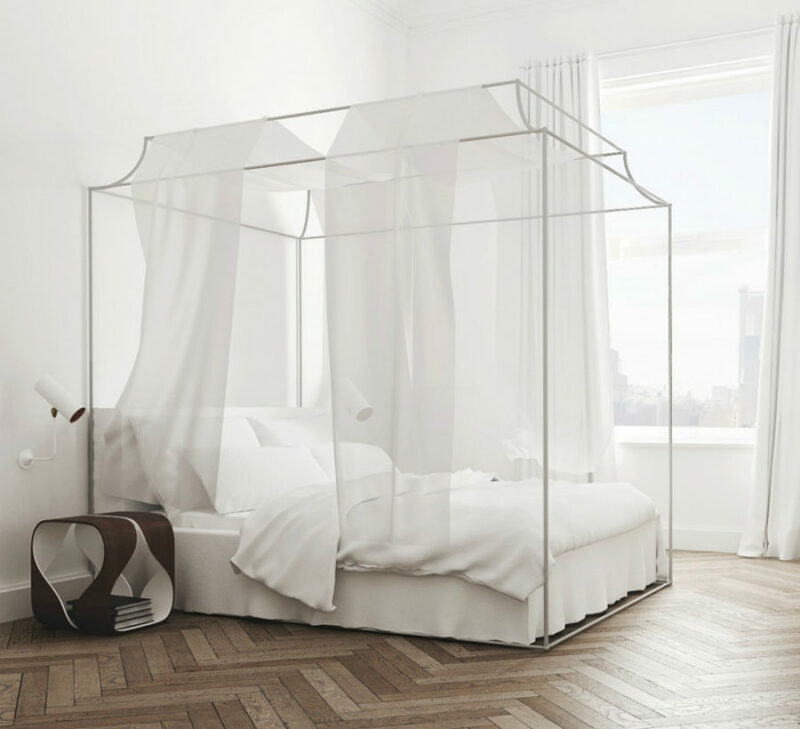 You can buy (or DIY) a separate curtain ring to create one for the existing bed, but there are also cool canopy kids beds to choose from. 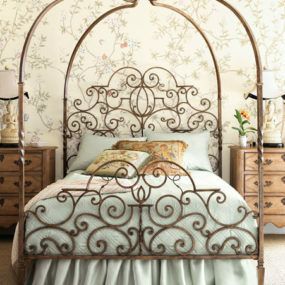 The kids’ baldachins are easier to handle because they are twice as smaller than your normal-sized bed baldachin. 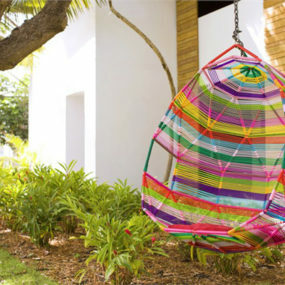 Decorate them further with string lights and toys or use them separately from the bed to create a demarcated play zone in the kids room. 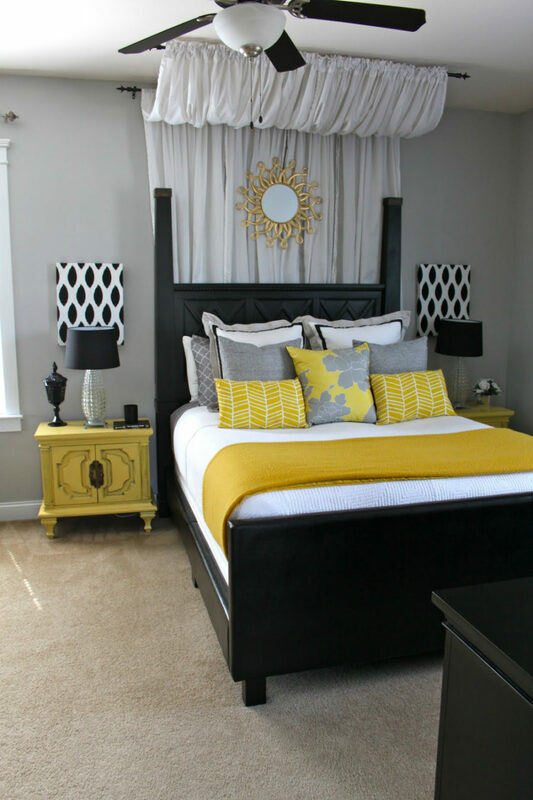 Curtains are elegant by default, so creating an elegant baldachin bed isn’t difficult. 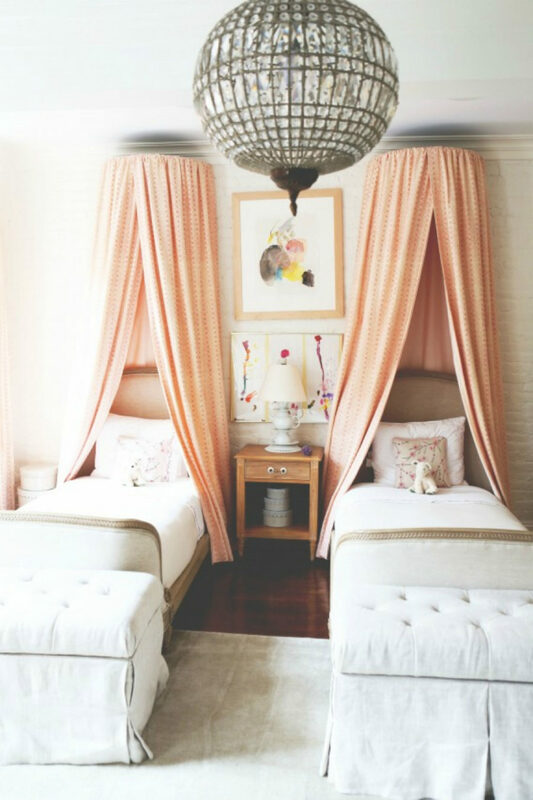 Opt for solid curtains that hang long and lean. Keep them ironed and go for a simpler arrangement. 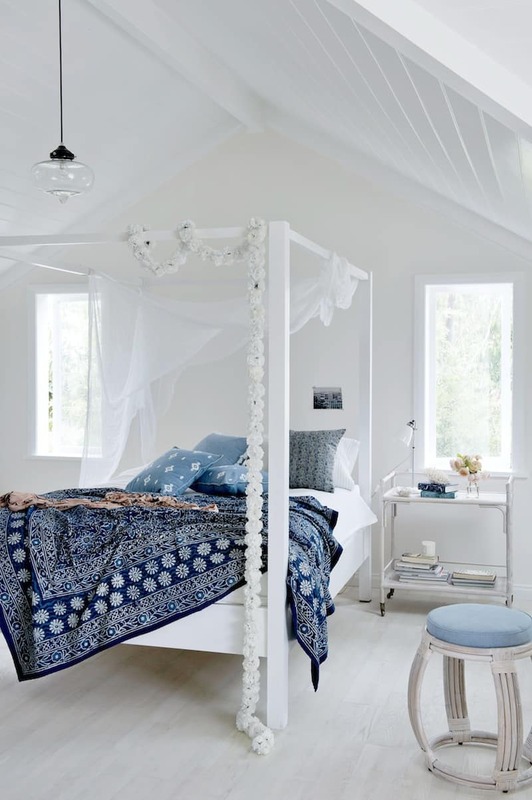 Light flowy fabrics will also give your bedroom an elegant touch. They will probably be easier to maintain as well. 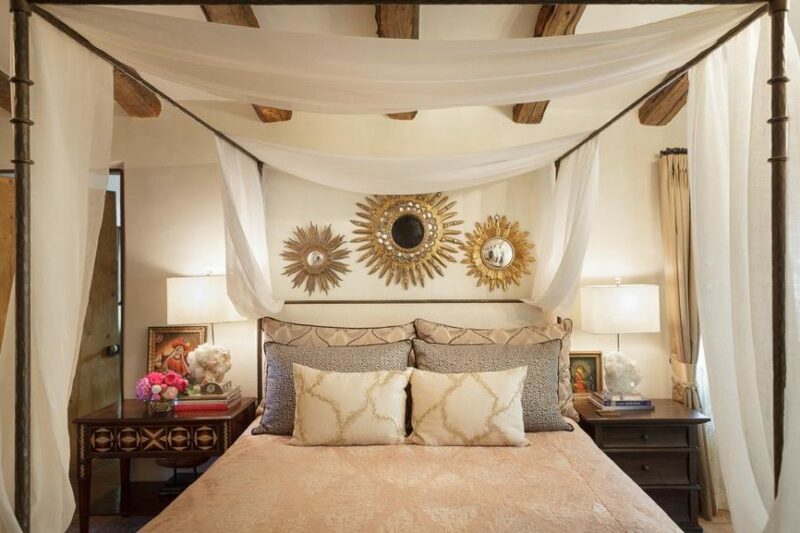 Chango & Co. offer a cool baldachin alternative for a headboard that looks most elegant. 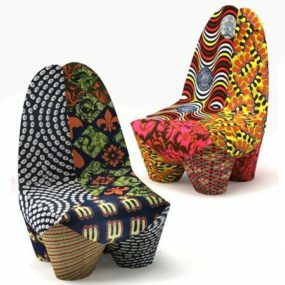 When it comes to baldachins, you have a lot of choices and not only in terms of fabrics. Canopies can vary greatly as well. 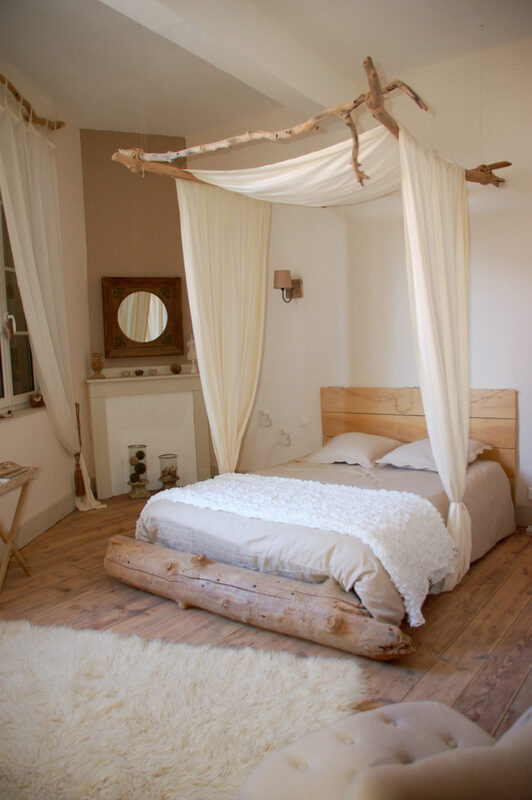 Try to compare a metallic pipe-like canopy bed and a makeshift baldachin made out of driftwood. 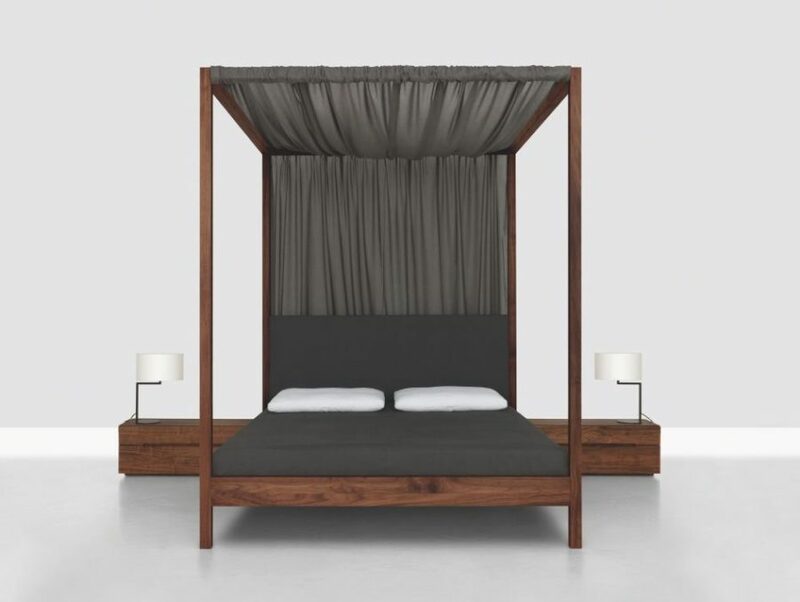 If you don’t like canopy beds at all, you can still have a baldachin if you want to. 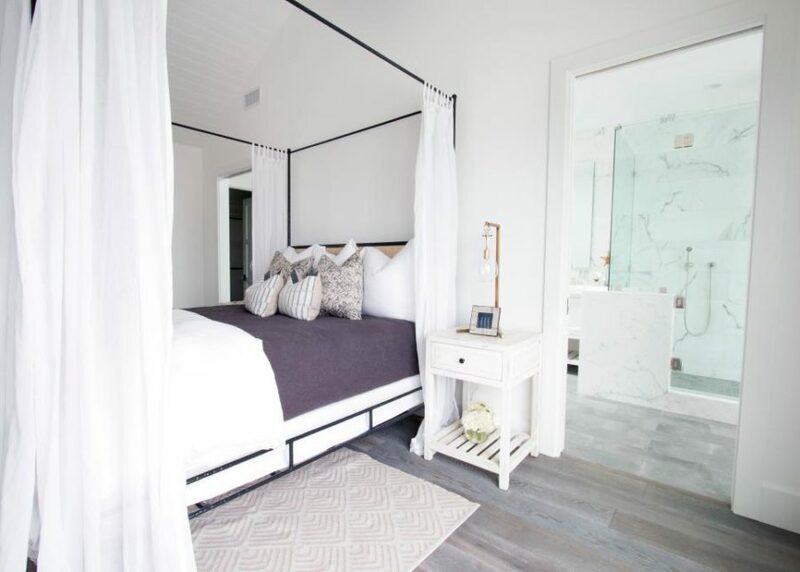 Here is a great example from Fella Villas, combining a platform bed and a hanging metallic canopy. Brilliant! 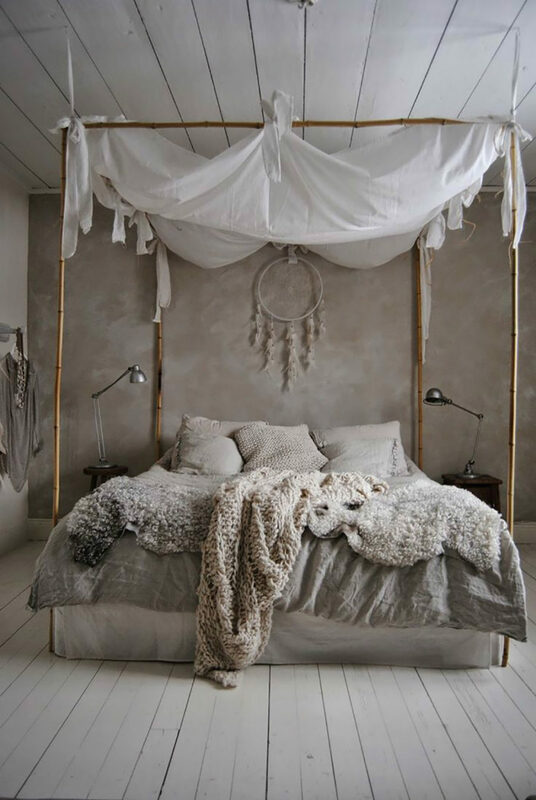 Modern dreamy baldachin ideas are so imaginative, they make for a perfect amateur decorator challenge to try and implement.